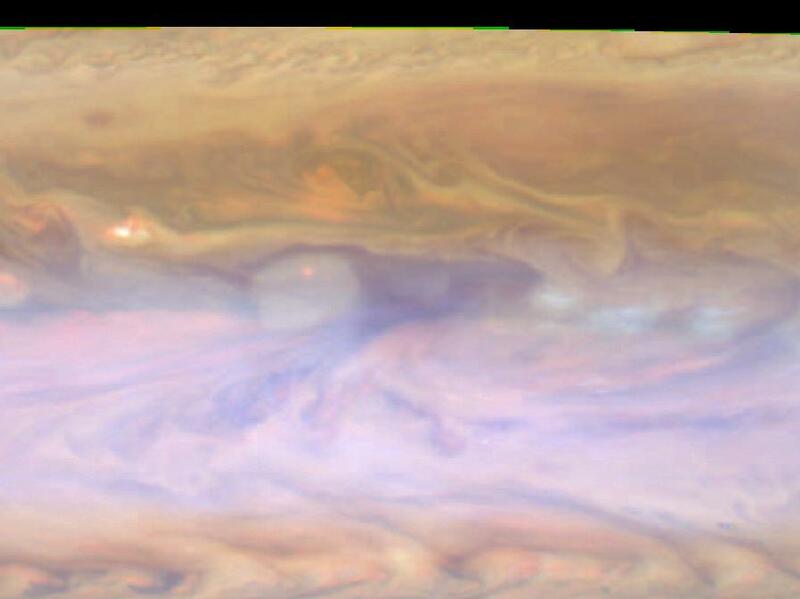 The dark hot spot in this false-color image from NASA's Cassini spacecraft is a window deep into Jupiter's atmosphere. All around it are layers of higher clouds, with colors indicating which layer of the atmosphere the clouds are in. 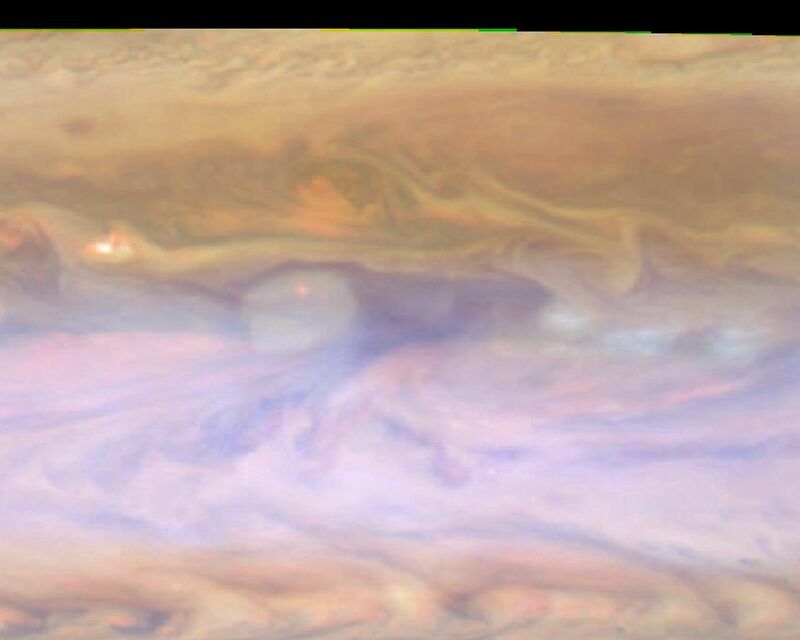 The bluish clouds to the right are in the upper troposphere, or perhaps higher still, in the stratosphere. 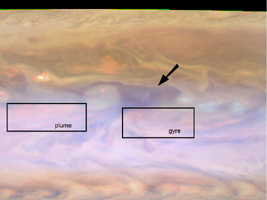 The reddish gyre under the hot spot to the right and the large reddish plume at its lower left are in the lower troposphere. In addition, a high, gauzy haze covers part of the frame. 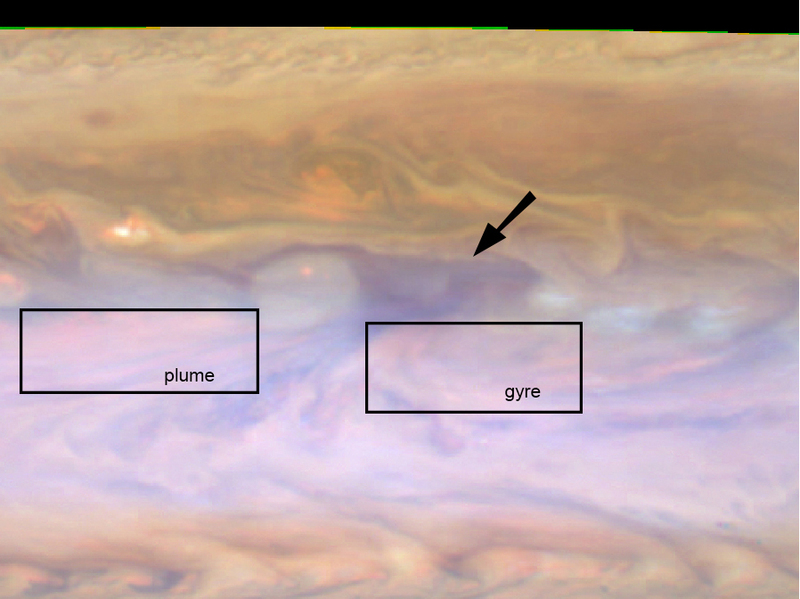 An annotated version of this image highlights the hot spot in the middle with an arrow and boxes around the plume and the gyre. 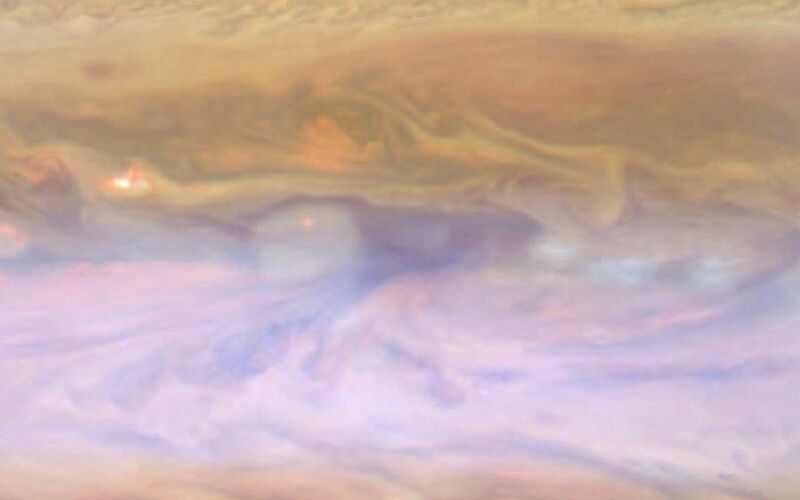 This image was taken on Dec. 13, 2000, by Cassini's imaging science subsystem.